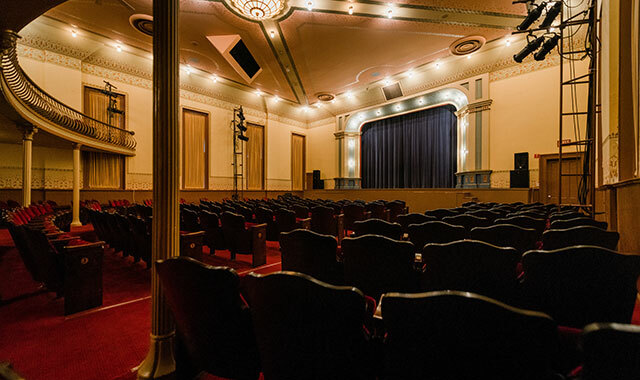 The historic Sandwich Opera House, in Sandwich, brings in live performances each year, so there’s no need to drive miles away for a great show. DeKalb County is noted as a premier destination for business and leisure travel. Its more than 15 communities each offer their own unique contributions that keep the spirit of arts and culture, sports adventures, entertainment, and award-winning food and spirits upfront and alive all year long. The winter season is no exception as a new lineup of special events and attractions are on tap to beckon guests toward a variety of blockbuster to-dos. Every January, the city of DeKalb hosts two major wedding expos that introduce brides and grooms to the many venues and wedding professionals to be found nearby. Looking for some “ramped up” excitement to cheer away those winter blues? The NIU Convocation Center announces the DeKalb debut of “WWE: Road to Wrestlemania” on Feb. 9. Don’t miss some of the WWE’s favorite superstars match up with their signature grand entrances and bold live action. The historic Sandwich Opera House in downtown Sandwich offers a variety of live shows to satisfy every musical taste. No need to drive miles away or take the train. This winter’s lineup features artists like The Jimmys, a seven-piece band influenced by “raw Chicago Blues to second line New Orleans funk.” Later in the season, Lisa Irions pays tribute to the music and performances of Cher. Irions’ foremost Cher impersonations (and costumes) have dazzled audiences far and wide. DeKalb County is home to thousands of sweeping and fertile acres of farmland, comprising 88 percent of the county’s land base. Agriculture sets the stage for the Northern Illinois Farm Show at the NIU Convocation Center every winter. “This IDEAg Show attracts over 5,000 attendees and 200 local and leading exhibitors,” says Armstrong. All of this agriculture also sets the stage for a lively food and drink scene around DeKalb County. The vibrant dining culture here provides diverse menu options and experiences from family-friendly restaurants and intimate dining to local breweries, distilleries and wineries. The Whiskey Acres Distilling Co., the only estate distillery in Illinois, truly brings its signature tastes from seed to spirit. The new tasting room is now open year-round, Fridays and Saturdays from 1:30 p.m. to 8:30 p.m. and Sundays from 1:30 p.m. to 5:30 p.m. Enjoy cocktails by the glass and take home a bottle of handcrafted bourbon, rye or vodka. There are plenty of wintertime treats throughout DeKalb County to chase away the seasonal blues. Visit dekalbcountycvb.com today to find out more. Lake Geneva is one of only six North American communities this winter to sport an Ice Castle, an impressive frozen work of art. It’s time to get ready for widespread winter wonders at the year-round playground of Lake Geneva, in Wisconsin. This January and February are jam-packed with a variety of cold-weather events, making The Geneva Inn a picture-perfect destination for warm hospitality and unique dining events that are sure to thaw the winter chills. 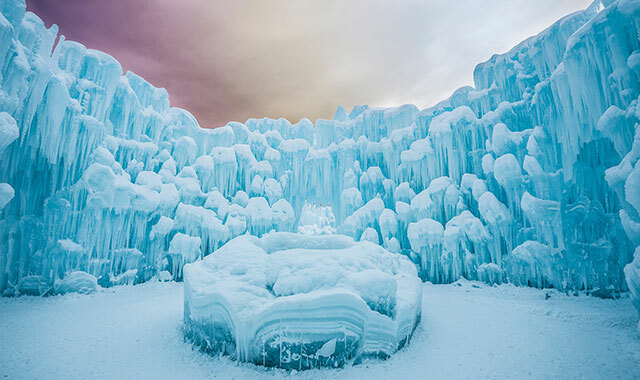 These Ice Castles are magical, frozen works of art. They can be found this time of year in only six North American communities, including Lake Geneva. Sculpting teams spent more than 4,000 hours to bring these creations to life. To build the castles, crews turned water into icicles – up to 10,000 of them each day – before artists arranged the icicles into marvelous castles that reach higher than 30 feet. As long as Mother Nature keeps its chill along Geneva Lake, these Ice Castles will be illuminated at night with color-changing lights that twinkle to music. Enjoy these one-of-a-kind outdoor masterpieces, then come back to The Geneva Inn for a cozy and relaxed retreat. Deluxe and luxury rooms offer their own unique charm and comfort, including an oversized whirlpool tub to soak away the cold. Want to really get away and re-energize? A special “INNtimate package” provides special features to enhance the perfect romantic getaway. Winterfest comes to downtown Lake Geneva from Jan. 26 through Feb. 3. It includes helicopter rides, a cocoa crawl, and the U.S. National Snow Sculpting Competition. As Winterfest winds down, The Geneva Inn continues the winter celebrations with its own unique mixology workshop, dinner and late-night entertainment on Feb. 1. The Grandview Restaurant at The Geneva Inn is a popular mainstay on the Lake Geneva dining scene. It offers a delicious exploration in cuisine, from new food inspirations to old-time supper club favorites like braised beef pot roast. An extensive beer and wine selection completes the meal. Guests are spoiled with scrumptious desserts freshly baked on the premises. The Geneva Inn is an established mainstay on the scenic shores of Geneva Lake, and its panoramic lakeside views sparkle this time of year. For winter enthusiasts, there are a number of attractions for cross-country or downhill skiing and all nature of winter adventures – all within an easy drive of The Geneva Inn. For more information on this winter’s activities at The Geneva Inn, visit genevainn.com today. 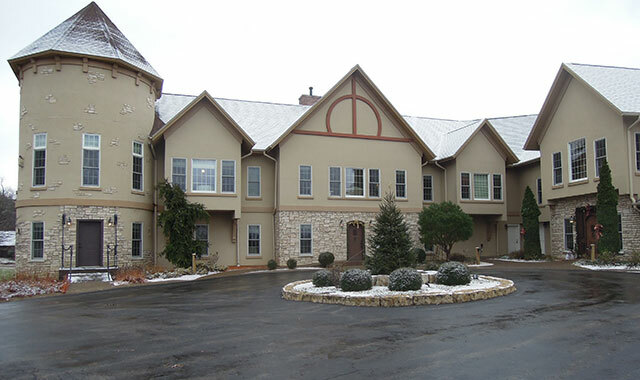 Goldmoor Inn and Dining, in Galena, Ill., is known for its luxury suites and tempting amenities. Galena, Ill., enjoyed a long heyday as a lead-mining town, widely known as the site of the first major mineral rush in the United States. As demand for lead declined, so did the local population, which dropped from 14,000 in the mid-19th century to 3,396 in the early 21st century. The tiny city about 80 miles west of Rockford decided it was time to reinvent itself. Galena is now regarded as a destination and is known for its history, architecture and resorts. An estimated one million tourists visit every year. Crowds thin out during winter, but there’s still plenty to see and do, from cross-country skiing and window shopping to exploring museums and dining at assorted eateries that fit a variety of appetites and budgets. Goldmoor Inn and Dining, owned and operated by hospitality career veterans Slobo and Birgit Radin, pampers guests with exceptional, congenial service. The striking venue at 9001 N. Sand Hill Road, Galena, is 6 miles south of town. The Radins connect with guests and recommend points of interest ranging from historic homes to local wineries. The inn offers discount packages to nearby Chestnut Mountain Resort, which boasts 19 ski slopes and snowboard trails. Goldmoor Inn offers guests a choice of luxury suites: 13 in the grand, castle-like quarters, three country cottages overlooking the Mississippi River and two roomy log cabins overlooking the meadows. Suites include a king-size bed, two-person whirlpool tub, walk-in showers, gas fireplace and mini kitchen with sink, microwave, coffee maker and refrigerator. Fresh flowers dress up a table for two. Breakfast, brought to one’s room or consumed in a private dining area, is included. Goldmoor Restaurant serves sumptuous dinners to inn guests and the general public Thursday through Monday from 5 to 9 p.m.
Executive Chef Joshua Roberts makes frequent changes to the menu, though classic Beef Wellington, a signature dish, is always available. Entrees go for $22 to $48. Its full-service bar has specialty cocktails, beer and a diverse selection of domestic and imported wines. Appointments are taken for the Goldmoor Spa. Especially popular are couples’ side-by-side massages. Goldmoor Inn has proven itself an ideal place to host such events as wedding receptions, retirement parties and family reunions. It has spaces that can accommodate up to 45 participants inside the inn and up to 150 participants in a seasonal open-air pavilion. Corporate board meeting planners find such amenities as large-screen projectors and internet access. Alert guests on walking trails may spot deer and wild turkeys that dwell on the property. Birdwatchers keep an eye out for eagles. Meanwhile, cardinals, blue jays and woodpeckers regularly stop at two feeders stationed in front of the restaurant windows. Since taking ownership of the venue in February 2015, the Radins have remodeled the entire original bed-and-breakfast building inside and out. Landscaping, including a rejuvenated rose garden, enhances the grounds. All televisions were replaced and appliances were updated. Another major undertaking involved installation of environmentally friendly and cost-effective LED lighting. In 2019, some suites are destined for new paint jobs, Birgit says. Plus, there will be an addition of an outdoor fire pit with seating and breathtaking views of sunsets and the Mississippi River. 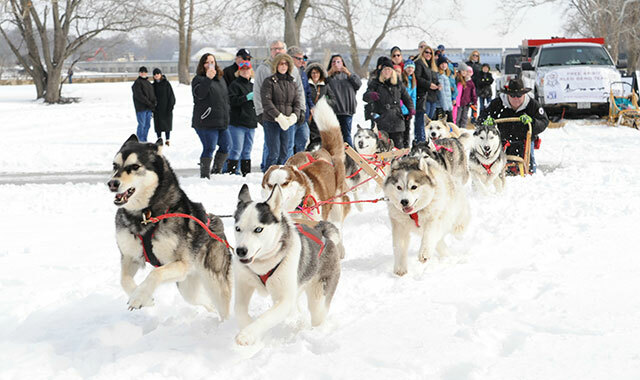 Free Spirit Siberian Husky Rescue returns to Starved Rock Lodge with Sled Dog Demos on Feb. 17. Every winter is different. This one started with very little snow and warmer than usual temperatures. Then, we got snow. Lots of snow. Either kind of winter is perfect if you love the great outdoors. Located near Utica, Ill., the canyons at Starved Rock State Park are always picturesque, offering photo opportunities all year. Starved Rock Lodge offers a restful getaway that’s only a short drive away with lodging, a restaurant, bar, cafe and gift shop all under one roof. In the quiet of winter, cozy cabins set peacefully in the woods provide a getaway that can be truly restful and rejuvenating. And best of all, an indoor pool complex is just a few steps away with a pool, hot tub and two saunas. Massage therapists are available by appointment. Some guests enjoy just reading a book or playing cards in The Great Hall while warming themselves by the massive fireplace, which heats up the chilly air and welcomes guests from near and far. The Lodge’s comfortable hotel rooms and cozy cabins are just steps away from more than 13 miles of hiking trails with bluff views overlooking the scenic Illinois River Valley of Starved Rock State Park. Visitors are free to hike on their own or book a guided hike with Starved Rock Lodge every Saturday and Sunday throughout the year. Hikers enjoy a scenic walk to LaSalle Canyon, plus extraordinary views from some of the most beautiful vantage points. You can beat the winter blues in the Back Door Lounge or Main Dining Room with “Burger & Beer” Mondays. Each week, enjoy a creatively themed craft burger with your choice of beer or a soft drink in a souvenir glass for $15. “Toast to Tuesday” is another way to enjoy date night or a mid-week getaway. Choose an appetizer, entree and dessert from a special menu at just $22 per person. The warmth of the historic Great Hall, talented musicians and dynamic vocalists makes “Dueling Pianos” a great way to spend an afternoon in February or the “Piano Man Experience” in March. Matinees include a hot lunch buffet and the interactive performance. A variety of “Tribute to the Stars” shows are scheduled throughout the year. Free Spirit Siberian Husky Rescue will be back with Sled Dog Demos on Feb. 17. Huskies will run in the parking lot west of the Visitor Center at 9:30 a.m., noon and 3 p.m. Educational seminars will take place in the LaSalle Room of the Lodge at 10:30 a.m. and 1:30 p.m. Children also love to attend the annual “Teddy Bear Tea” on Feb. 9 with their favorite grown-up for stories, a craft project, tea and cookies. For another great mid-week experience, try “Flight Night” set for March 13 and April 10. This progressive dinner includes travel on a Starved Rock Trolley for appetizers and wine sampling at August Hill Winery, craft beer and mini-main course samplings at Lone Buffalo & Tangled Roots Brewery. The finale involves decadent desserts and after-dinner drinks at Starved Rock Lodge. Book now because this sells out fast. Learn more about Starved Rock’s many winter events at starvedrocklodge.com. This entry was posted on Tuesday, January 29th, 2019 at 11:58 am	and is filed under Recreation & Destinations. You can follow any responses to this entry through the RSS 2.0 feed. Both comments and pings are currently closed.